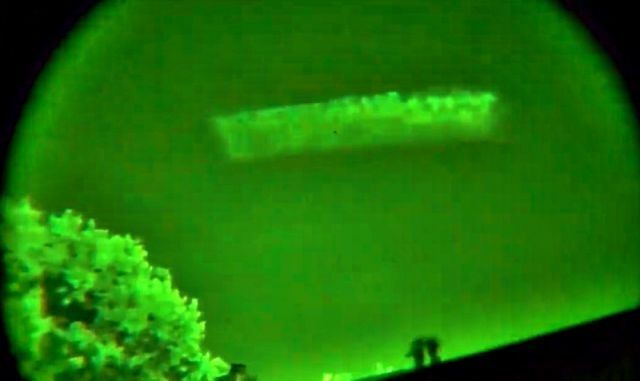 While observing the sky with a Bushnell Equinox Z 6x50 mm digital night vision a skywatcher noticed a strange rectangular shaped cloud formation in the night sky over Groenlo, the Netherlands. The skywatcher wonders whether it could be a chemtrail or something else because there were no other clouds except that one. Instead of a chemtrail, could it be a cloaked UFO that moves very slowly through the night sky?